Culture and tourism are now a married couple; obvious and good matches, soul mates. It is, therefore, incumbent on me, as a cultural activist and former administrator, to compliment the government of Hon. Roosevelt Skerrit on taking the e decision to merge the two government departments. For instance, Hon. 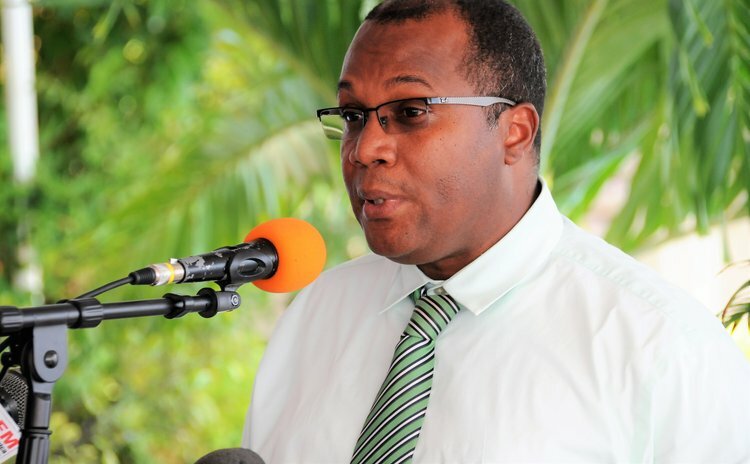 Tonge's ministry (Ministry of Tourism) will no longer be in a dilemma, nor will the people of Dominica, when they consider what department is responsible for the World Creole Music Festival (WCMF), a cultural event which mainly involves cultural expressions of music and cuisine. In the past there had been concerns that the WCMF would overshadow or dilute our indigenous expressions which we traditionally display during independence celebrations such as the Bele, Mazook, Quadrille, Conte and other forms of expressions. Now the harmonization of culture and tourism under one umbrella makes for easy administration and clearer delineation of functions and responsibilities. The merger may be the plan but it is the execution that we await. But before we do, we must take a good look at what exists in culture in Dominica. Since the buzz word is resilience, we must now refocus our effort at making this cultural product meaningful and lasting, not just as an income earner but to preserve the attributes that differentiates us as a people. In 2011 my MBA dissertation was on a study dealing with augmenting eco-tourism with the performing arts. In the study more than 70 percent of respondents interviewed at our eco- tourism sites stated that music and entertainment were important components. Focused groups at the major hotel establishments and a few eco inns conveyed similar sentiments. At that time, it was noted, the Fort Young Hotel, to their credit, was the only hotel that hired musicians to play live music twice weekly for guests and visitors. Most of the other hotels used Hi Fi music and hired DJs for special events. At the other hotels, there was no Tambata Dancers, no bands, no Pointe Michel Cultural Group or no calypsonian with an acoustic guitar to add to the ambience. In that study, I endeavored to show that if two dollars were added to the cost of a tour at reception areas of tourism sites, such as the popular Trafalgar Falls, then we could generate some level of employment. Another issue that Hon. Tonge needs to consider urgently is the state of the Arawak House of Culture. Quite frankly, it's the worst representation of a place to stage performing arts in the region. But this is indeed an oxymoron when we have so much to offer per capita compared to many of our neighbors. The stage, lighting, back stage facilities, air-conditioning and general ambience must be a source of concern. The teaching of the creative, visual and performing arts is sadly lacking in the vast majority of our schools. We just introduce the subject in 1st and 2nd forms and that's it. Who is going to be the next Cornel Phillip, Michele Henderson, Ophelia or Triple Kay who actually made a decent living from their musical exploits? Students must begin to see the arts as a career. But how can they, when the last few individuals who studied at a degree level in drama, dance or painting was more than 30 years ago! Today they have either passed on, out of State or retired. It is clear that today we need not just performers or practitioners to study the arts but in technical training in sound engineering, marketing of the arts; what about offering a music scholarship among the several we offer to study law, medicine or engineering. Surely here is a case for the National Youth Council to take up. I was taken aback when it was revealed this year, on a day designated to recognize Bouyon music, that leading band Triple Kay could not access a reasonable loan from a lending institution. If Dominica's most successful and popular Bouyon band can't do it, then this is not a good sign or signal to others who are thinking of taking up music as a career. Yet, the band does more than any government minister can ever do to promote the country as we have been privileged to witness from their performances at various regional and international activities proudly displaying the Dominica flag and selling the country's name. This is why I applaud this marriage of tourism and culture. Now that the new Deputy Prime Minister, Reginald Austrie has met stakeholders in the agricultural industry, the new culture minister, Robert Tonge, must do the same for musicians and other performing artistes. There are many instances that cultural awards are given and more prominent individuals are over-looked. Special recognition awards which should be a precursor to the Golden Drum, should one continue to labour successfully in the vineyard of the arts, has not been treated as such. Just like the Mountain Chicken, and now the Sisserou, are disappearing, so too will culture if we don't get our act together. Having said this, I wish Minister Tonge well.